Experience the spirit of Andalucia, Spain - The passion, sensuality and the power of flamenco dance, the plaintive cry from the heart of the cante (flamenco song) and the fire of virtuoso flamenco guitar. ... It was a joy to watch performers who so obviously enjoy performing! Viva Flamenco encapsulates all this and more. They are available for hire for functions, shows, corporate events and festivals. 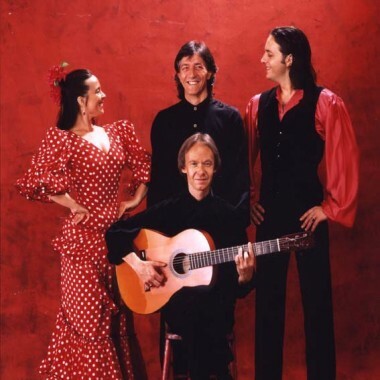 Viva Flamenco is a truly international dance group and company that has entertained audiences all over the world, from Ipswich to Indonesia (the Intercontinental Hotel in Jakarta) and Guilford to the Gulf, plus Bahrain (mostly Hilton and Sheraton hotels). London venues include the Royal Albert Hall, the Festival Hall, the Barbican and many major hotels. Numerous television programmes world-wide and film credits including “The Curse of the Pink Panther”. 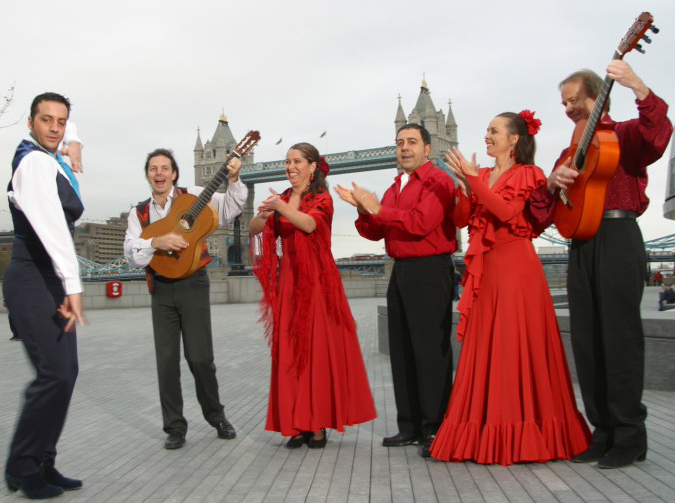 The group normally consist of two dancers, a singer and a guitarist, Juan Ramirez who manages Viva Flamenco. However, any size group or company can be provided – they performed as a twenty piece company in the world’s biggest production of the opera Carmen at the national indoor arena in Birmingham and also in Dortmund in Germany – also individual artists, e.g. solo guitarists, dancers and singers. Juan Ramirez has performed with his own flamenco dance company for many years, both as an accompanist and as a soloist on flamenco guitar. He has played world wide, including the Gulf States, Europe, the USA and the Caribbean. Based in London, he has numerous TV and radio performances to his credit, both in the UK and abroad. He has also guested on many recordings with other musicians and pop stars including Marc Almond and Gary Barlow. He has taught flamenco guitar for several years and gives master classes and workshops (which can also include flamenco dancing taught by ‘Juani Garcia’).